Home / 80s / Meet The Cure. Cobra Blasts It's Way Onto Blu-ray This January. Meet The Cure. Cobra Blasts It's Way Onto Blu-ray This January. Shout! Factory has detailed their upcoming Collector's Edition release of the 1986 cult classic, Cobra, written by and starring Sylvester Stallone. 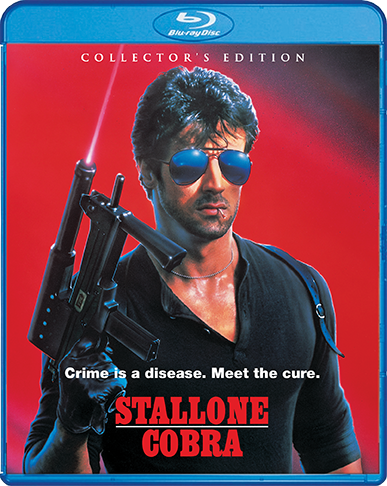 Armed with a brand new 2K scan and new interviews, Cobra shoots its way onto blu-ray on January 22nd.